Prince’s death reveals we have no idea what “addiction” really means. The reporting on Prince’s death reveals how much we don’t understand about chronic pain management. 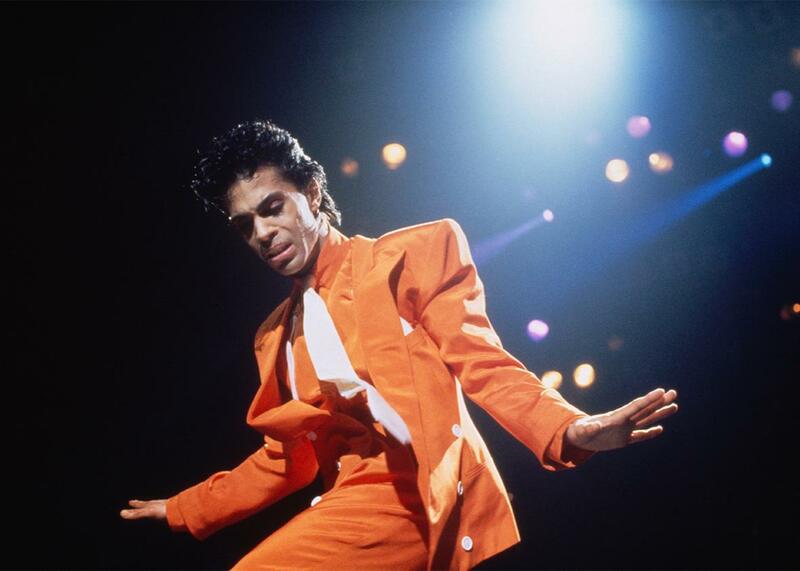 Many of Prince’s friends and acquaintances have attested to the physical pain and discomfort he suffered in his later years, owing to decades of strenuous performing. Although many of the facts surrounding the death of Prince remain to be established, one thing is clear: He had been treated for an extended period of time with pain-relieving drugs. Reports suggest that an overdose of one of those drugs led to the emergency landing of his private plane early in the morning of April 15 in Moline, Illinois. It’s widely assumed that his death six days later at his Paisley Park Studios in Chanhassen, Minnesota, was also drug-related. Many news outlets have frequently invoked the word addiction, that much feared but poorly understood condition. “Prince: Long-Standing Percocet Addiction,” said TMZ, the outlet that broke the news of Prince’s passing. “Prince was in rehab for his Percocet addiction and had multiple doctors writing prescriptions,” read the Daily Mail headline. “Prince’s Death Putting a Spotlight on Opioid Addiction,” said CBS Minnesota. But a rational discussion of the death of Prince—and of so many others—should not be guided by notions of “doctor-shopping,” an opioid “epidemic,” or vague images of those in pain enslaved by drugs. Instead, we should seek an understanding of the drugs of concern: how they work to relieve pain, how they kill in overdose, how deaths might be prevented, and how we should respond as a society both to their risks and to their benefits. Most important is to draw a distinction between physical dependence, which is a pharmacological phenomenon, and addiction, a term with multiple definitions, none of which is entirely satisfactory. We could start with a simple question: How does a drug know where to go? We know where we want them to go: aspirin to our aching joint; antibiotics to the site of infection; alcohol, caffeine, and THC to our brains. But the fact is that they don’t know where to go—once in the blood stream, they bathe virtually every cell in the body. A drug produces its effects by attaching itself to a structure of the cell called the receptor; receptors can be very selective, responding only to certain drugs and ignoring all the rest. Opiates reach receptors in the brain and spinal cord to dampen our experience of pain. But there are other opiate receptors. Some are in the gut, which can cause constipation. More ominously, there are opiate receptors in a primitive area of the brain, the medulla oblongata; when opiates suppress the activity of the medulla, breathing is slowed and may stop entirely. Death is the endpoint. It’s been widely reported that after Prince’s plane made an emergency landing on April 15, he received a so-called “save shot” of a drug called naloxone, best known today by the trade name Narcan, which is administered in cases of opiate-induced respiratory depression. Naloxone works by displacing opiates from their receptors; Narcan as a nasal spray is now routinely carried by police and other first responders and, increasingly, is provided to all those who take opiates, whether medically or illicitly. Unfortunately, it is sometimes forgotten that naloxone is effective for only 30 to 60 minutes after administration, while morphine and similar drugs act for much longer—thus depression of breathing, even to the point of death, may return if naloxone is not re-administered. The desire to reduce the number of opiate-related deaths by restricting access to these drugs is understandable. But we should be aware of possible unintended consequences. Writing in 1985, the late physician and professor of pharmacology John Morgan said that American physicians undertreat pain, based on an irrational and undocumented fear that appropriate use of opiates will lead patients to become addicts; Morgan called this fear “opiophobia.” In the years that followed, the medical profession came to recognize that many Americans were living and dying in pain, with cancer of greatest concern. The remedy provided was increased prescription of morphine and morphinelike drugs such as oxycodone and hydrocodone, the active principles in Percocet and Vicodin, respectively. There is no doubt that these prescriptions reduced the overall burden of pain. But in 2014 alone, prescription opiates and heroin were implicated in more than 28,000 deaths. In response to what has been called an epidemic, groups such as the Centers for Disease Control issued guidelines in March calling for stringent restrictions on access to opiates. The death of Prince is likely to add force to these calls. The rumors that Prince entered a rehabilitation program to address a perceived painkiller addiction—whether or not the rumors are true—illustrate a general confusion about the difference between physical dependence and addiction. Many of Prince’s friends and acquaintances, including his longtime collaborator Sheila E., have attested to the physical pain and discomfort he suffered in his later years, owing to decades of strenuous performing. In the face of such chronic pain, many patients can be treated with an opiate to the point of physical dependence for an extended period of time without adverse medical consequences, resulting in a much higher quality of life. (It remains to be established whether an absence of skilled medical care—surely available to one of his status and means—contributed to the death of Prince.) Indeed, each of us, without exception, will become physically dependent on opiates if exposed to them in sufficient doses for a sufficient period of time. In physical dependence, adaptive changes take place in the brain; upon stopping the drug, a constellation of signs and symptoms appears which is called the opiate abstinence syndrome—the hallmark of physical dependence. In contrast with physical dependence, however, a definition of addiction is harder to reach. Neuroscientists call it a brain disease. Others think it is simply a choice or a moral failing. I prefer to say that addiction is a behavioral state of compulsive and uncontrollable drug craving and seeking. Many of those treated for chronic pain will not become physically dependent. And even in those who do develop dependence, only a small fraction will become addicted, and even a smaller number will overdose. It would be cavalier to suggest that physical dependence upon an opiate is an entirely benign condition; we would best avoid it. But we should also avoid the notion that treating chronic pain creates “addicts.” Sufferers of chronic pain are not compulsively craving and seeking drugs. They are looking for relief from their pain. Partly owing to the stigma around painkillers, those who suffer chronic pain that is effectively treated with opiates may be reduced to “doctor shopping” in an endless quest for adequate treatment. They may find a skilled professional schooled in pain management; more likely, they will find a “scrip doctor,” an unscrupulous physician who makes his living writing opiate prescriptions. Even worse, they may be driven into the illicit market where heroin and fentanyl, a particularly dangerous opiate, are available, often for less than the cost of prescription drugs. The roots of actual addiction are multiple and often intertwined: adolescent risk-taking, poverty and homelessness, an absence of love or hope or meaningful work. The potential remedies are equally complex. But one thing is certain: No addict will be saved by rules that inflict pain on others. Read more in Slate about Prince.